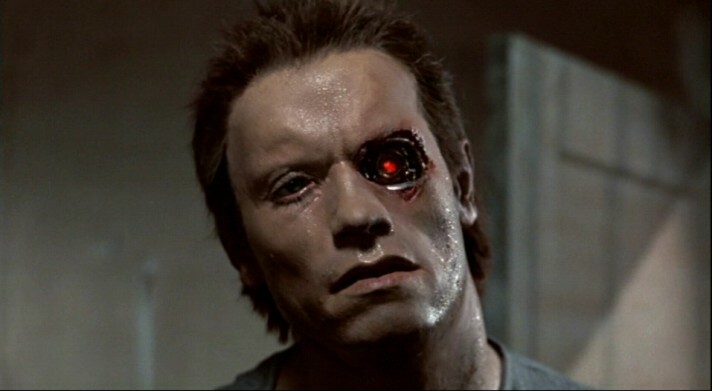 Schwarzenegger’s face won’t appear in new Terminator movie. Voice still a possibility. In other words, expect robots to say “I’ll be back” throughout the movie. Still, it’s better than nothing. Terminator Salvation has been filming in New Mexico under the direction of McG (the Charlie’s Angels movies) and is due for release on May 22nd, 2009 in the USA, South Korea and Iceland. In an effort to reinvigorate the formula, it will be the first Terminator film set entirely in the future and will initiate a story arc that will continue in two further installments. Hey, here’s an idea! Why not get Robert Patrick to reprise his T-1000 character? Not in this movie, but in one of the next ones. They could show Skynet creating him or something, that’d be pretty neat wouldn’t it? This entry was posted in American Films, Celebrities, Sequels and tagged Anton Yelchin, Arnold Schwarzenegger, Bryce Dallas Howard, Casino Royale, Charlie's Angels, Children Of Men, Christian Bale, Common, David C. Wilson, FX, Helena Bonham Carter, J.J. Abrams, John D. Brancato, Jonathan Nolan, McG, Michael Ferris, Moon Bloodgood, Pathfinder, Paul Haggis, Robert Patrick, Rogue, Sam Worthington, Shawn Ryan, Spider-Man 3, Star Trek, Supernova, Sweeney Todd, T-1000, Terminator, Terminator 3, Terminator Salvation, The Dark Knight, The Road, The Shield, Wanted by Mr Hollywood. Bookmark the permalink.